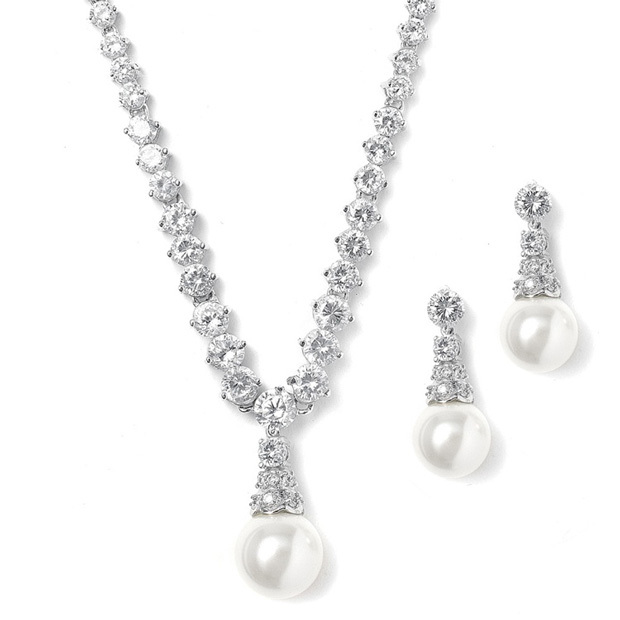 * This luxurious bridal necklace and earrings set by Mariell features bold white pearls and dazzling Cubic Zirconia. * This graduated CZ necklace measures 16" with a 1" pearl drop at the center. * It has the safety clasp found on fine jewelry for the look of real diamonds and pearls. * The silver rhodium earrings measure 1" h and echo the modern design of the necklace.